Be sure to come down to the Southwest Waterfront's 7th St. Landing with your camera and warm clothes on Saturday, Dec. 4, 2010 at 4:00 P.M. to see Santa and the Tree Lighting Ceremony, followed by The annual Parade of Lighted Boats at 5:00 P.M. 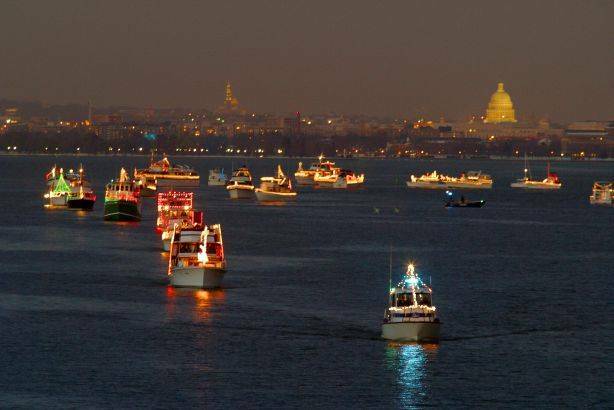 The SW Waterfront and Alexandria harbor will light up during this annual parade. Boats are beautifully and imaginatively decorated by their owners, who are competing for great prizes. These sailing and power boats will cruise the city's historic waterfront on the Potomac River.